We’ve all heard the phrase “the good old days” many times. Too many times, probably. But just yesterday, for the first time, I understood it. First of all, it’s not that they really were “good.” Not necessarily, anyway. They were just the way things were, and everything that’s deviated from them is not the way things ordinarily are. Could be better, could be worse, just not “normal.” My normal, and I would guess that this might be true of many people my age, happened in the 1950s. I was old enough to begin to understand the world around me, but not old enough to understand that everything was not what it seemed. Age 11 to 17 or so. I’m sure the actual years will vary from one person to another, and younger people will have other times that became their normal. Anyway, at that time we lived in the suburbs where most average and normal people lived. We went to church on Sundays. My mother always insisted that most people believed in God, and from what I could tell, that seemed likely. We all thought Mormons were odd then, but their Tabernacle Choir sang on the radio every Sunday morning, and was a Christmas staple. The mainstream Protestant churches were the church; they were very American; there was a reason two flags, the American and the Christian, were at the front of most churches. Catholics weren’t all that much different from us, even though my Lutheran minister thought they were an abomination. 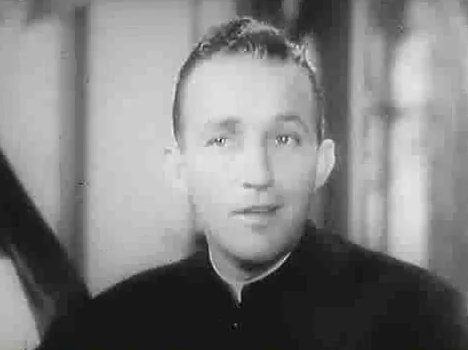 He apparently hadn’t seen Bing Crosby as the affable priest in television reruns of “Going My Way” and “The Bells of St. Mary’s.” There was no one more American than Bing Crosby. The only cheese was American cheese. I guess there was something called Swiss too, but all I knew about that was that it had holes. Children were expected to grow up and do better financially, and in most ways, than their parents. They were expected to marry and bear children, and do something practical to earn a living. 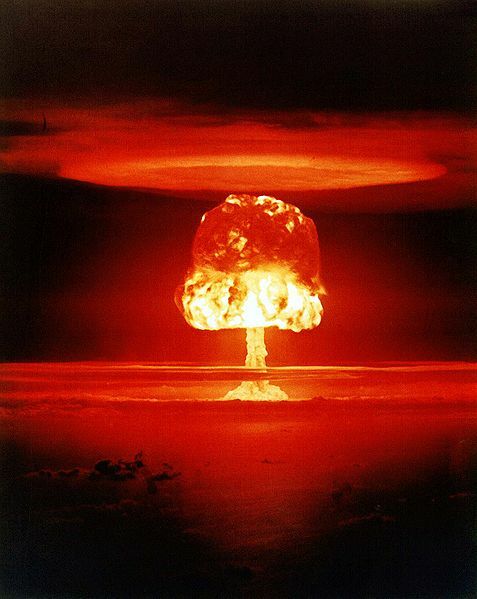 Everyone knew that it was necessary to defeat Communism and the evil Russian empire, and that we might die in a nuclear blast – but probably wouldn’t. I could go on and on about what was normal then. When I got to college (in San Francisco), when I ate cheddar cheese and San Francisco sourdough and drank red wine; when I read Ginsberg’s “Howl” and listened to Miles Davis, when I marched for peace with Communists and discovered they looked like other people; when I began to frame another kind of American world for myself — when the whole world opened up to me and I discovered the beautiful variety and excitement of life — then normal faded. And I was glad. But last night, for the first time, I really grasped that “the good old days” were those several years when I came of age. That, I’ve always unconsciously measured the fascination of the world around me by what I knew then. That was what was normal, and everything else has been wonderfully, and sometimes awfully, abnormal. Was that really normal? I seem to remember a lot of chaos and confusion. It certainly doesn’t seem like the good old days to me. To me, the good old days were in graduate school. But, of course, there wasn’t much normal about those days. As an early feminist growing up in georgia in the 50’s and 60’s, I remember normal being “not me.” I didn’t fit in. I didn’t want to get married and have babies. I wanted a career. My mother wanted me to lose at ping-pong when I played against boys, and not to rough house so much. And I was so very happy to escape “normal” and discover other new normals. Now I’m married, with grown daughters, and retired from my career as a lawyer. I no longer have an exciting answer when people ask “And what is it that you do?” And yet, my still emerging new normal is good — and I have much more to do to be sure we don’t retreat into a 50’s version of normal that still seems oh so abnormal to me. Thanks for this post. The word “normal” is a complex one, isn’t it? Your “still emerging new normal” sounds terrific to me.